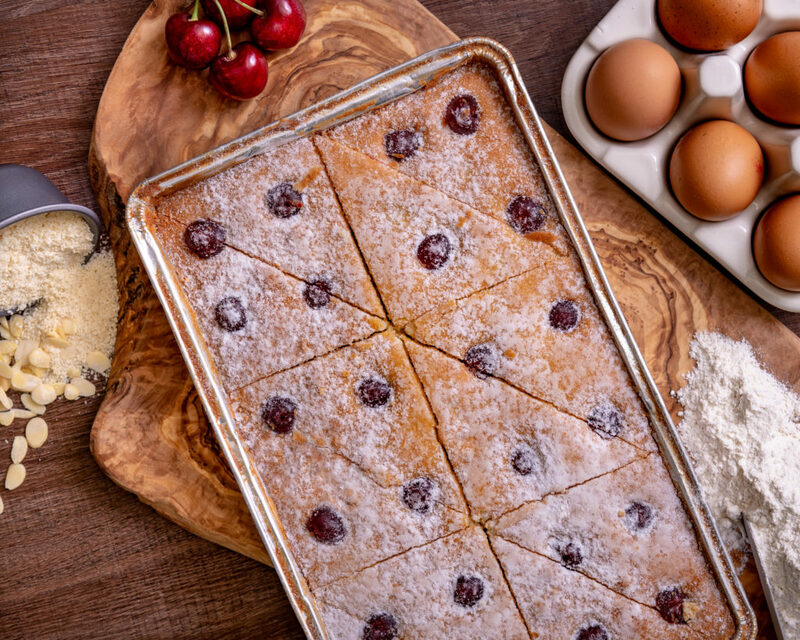 A classic bakewell sponge with a hint of almond, finished with a generous helping of cherries and dusted with sweet snow. 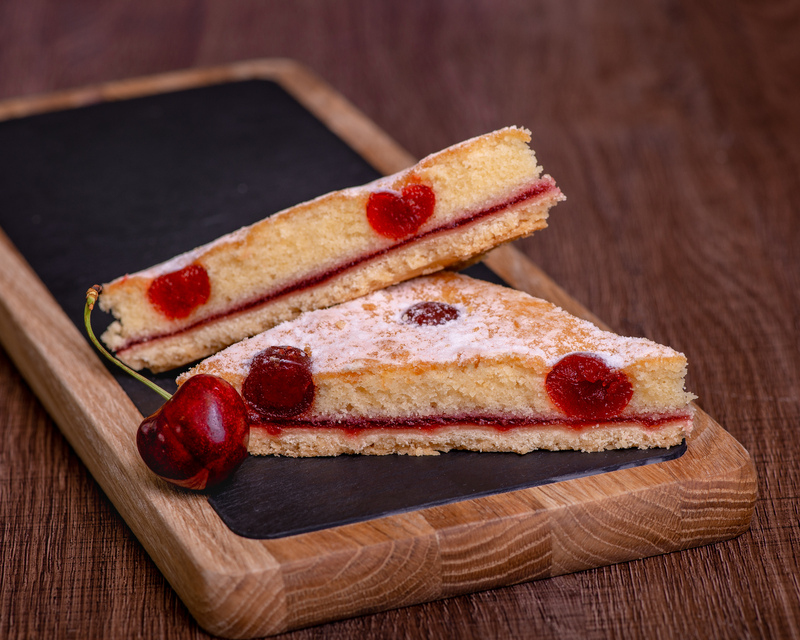 Allergen Declaration: Contains wheat gluten, egg and sulphites. May contain traces of tree nuts, peanuts, milk and soya.